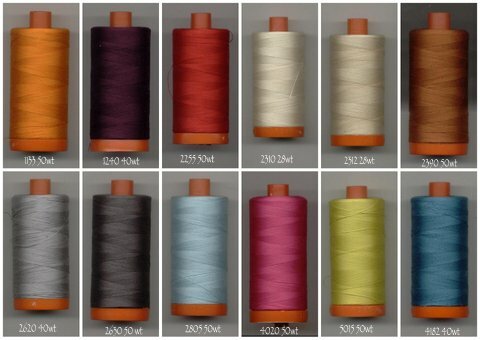 The lovely Lynne from Lilysquilts is hosting a competition where you can design the perfect Aurifil Designer pack and win a case of your chosen threads. My first entry is based on thread colours I love using for the modern solid quilts. The subtle tones of greys, aqua and beige with a splash of vibrant teal, citrus, lipstick, orange, burnt orange, claret and red. My second entry is named concrete denim. You can enter as many times as you like. Competition closes 18th April 2012. Wow! What a great Giveaway! Very cool colors and I want them! Want it, need it, to quilt it! Love the colors….hope to win! Thanks! Nice colors. 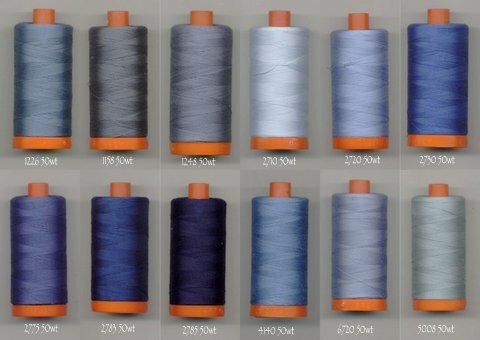 I wish my machine liked Aurafil thread. I have a Singer and it's favorite thread is Coats and Clark. These colors are beautiful! Thanks for the giveaway. Love both of your selections, but especially concrete denim– iot's in the name as much! I'm a newbie in the sewing/quilting world! Can't wait to try the hexi quilt and pillows! Way cute! Thanks for the inspiration.